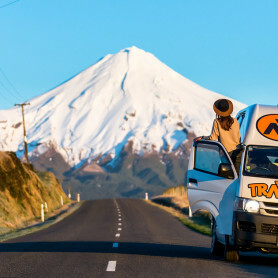 When you want to see some of New Zealand, renting a campervan is a great option. 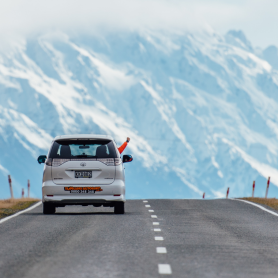 There are some incredible campgrounds and campervan parks throughout the country, providing stunning vistas, a lot of safety, as well as a long list of amenities. We have compiled a list of our favourites below. Picton Campervan Park offers a great location that is only minutes from the Interisland Ferry as well as a short walk to the town centre. You will be surrounded by swimming beaches as well as the pristine waterfront. You’re also within walking distance to a local tavern, restaurant, and convenience store. You will have free Wi-Fi, a lounge with Sky TV, free high-pressure hot showers, and clean facilities and rooms. 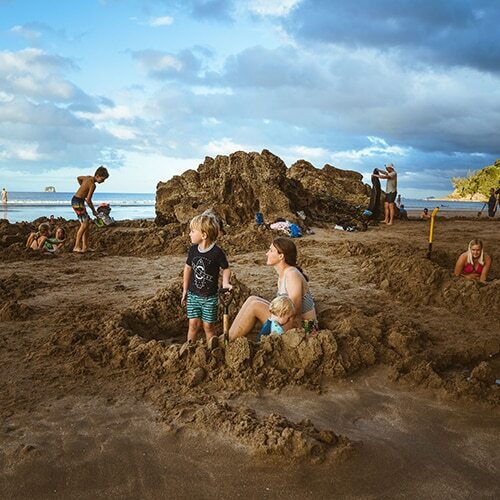 Any children travelling with you will enjoy the small park on-site as well as building sand castles along the beach. Havelock Holiday Park offers safe, affordable, family-friendly accommodations that are also pet-friendly. The park is located between the main street of Havelock Township and at the marina. There is plenty for you to enjoy while on site, including a spacious laundry area, barbecue, kitchen and bathroom facilities, and Free-to-Air TV. There is also a children’s playground, a skate park, tennis court, and a trampoline. An outdoor gym will also make it easy to stay fit while travelling. Powered campsites are close to the amenities and offer a dump station and more. Waikawa Bay Holiday Park is only five minutes from the ferry terminal and overlooks Waikawa Bay. The accommodations are affordable and peaceful. You can easily walk to the swimming beach, restaurants and cafés, as well as the third-largest marina in New Zealand. You can enjoy boat parking, fish filleting stations after fishing, as well as wash facilities. Wi-Fi is located site wide and there is also a solar heated swimming pool for the summer months as well as a covered BBQ area. For those who want a break from their campervan, there are also cosy cabins for rent on site. Tea/coffee facilities are also available, providing the opportunity to meet other families who are on holiday. Spencer Beach Holiday Park has a beautiful location that is only 20 minutes from the heart of Christchurch as well as the airport. It is also only a two minutes’ walk to the beach. A variety of attractions are available on-site including miniature golf, Mehlman biking, swimming, fishing, and tennis. Children will love the large adventure playground as well as the shelter for picnic activities. The beach is patrolled, allowing you to relax while the kids play in the water. Additionally, there are in-room cooking facilities as well as guest laundry to accommodate all of your needs. 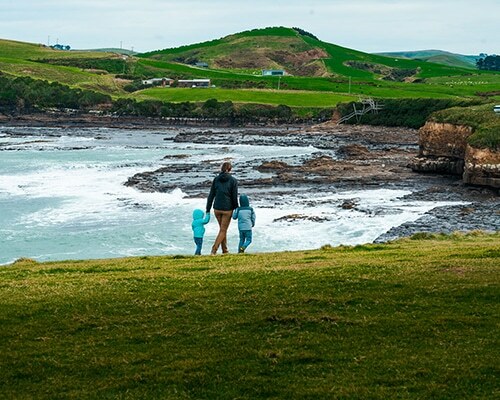 Port Waikato Holiday Park is in a quieter, isolated area providing you with access to natural beauty as well as countless recreational activities. It is approximately one hour from the Auckland airport. You can take advantage of a barbecue area, guest laundry, in-room cooking, a playground for the kids, as well as tea/coffee facilities. You can enjoy bird watching, swimming, and even surfing. Additionally, pets are allowed as long as you receive prior management consent. There is fun for the whole family so that you can have as much excitement or as much laid back time as you desire. 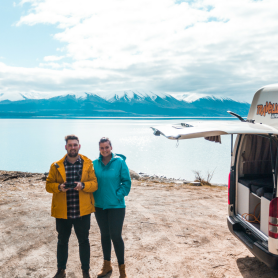 Whether you are planning a road trip from Christchurch to Auckland or a family vacation locally, there are plenty of campervan parks for you to discover. 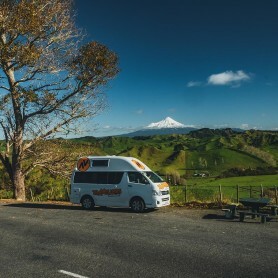 Explore a campervan to hire to meet your individual needs by visiting Travellers Autobarn today.